mynetworks, a dynamic and innovative company, was established in 2006 with over two decades of experience and actuation in the fields of information technology and business analysis. It depends on an extensive staff of qualified professionals, in the most varied tools and technologies in the computer market, mynetworks has been consolidating its ranking, as one of the great suppliers of solutions and information technology projects. mynetworks has adopted an enterprising view on business, its main objective is to develop and implement ideas and solutions focused on serving the expectations and challenges of its clients, acting as a partner in the quest for quality and their success. The main objective of our intelligent solutions is to cut financial and operating costs, contributing so your company can focus on its core business, achieving further efficiency and productivity coupled with tranquility. We are prepared to supply solutions in diverse fields of information technology and business analysis. Due to this, we have developed an integrated approach supported by the combination of competencies in project, implementation, support, and management, as to add quality and high availability of all our products and services. We conceive technology as a mean and not as an end. Each market and each company are characterized by their specific particularities. 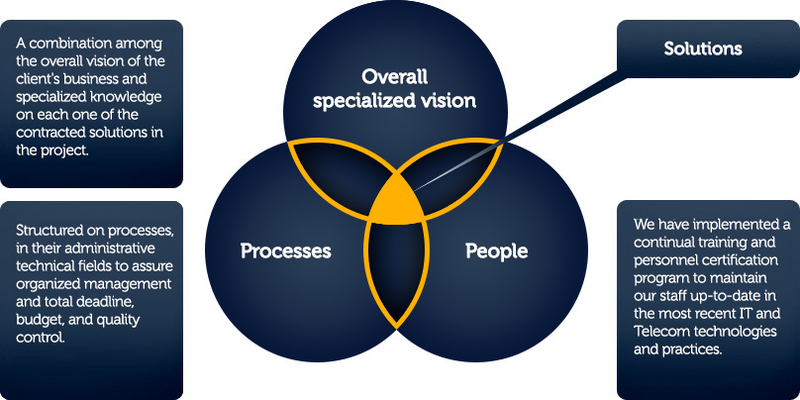 Due to this, our methodology and service model are guided, in such a way, as to be focused on knowing the characteristics of your business and thus design a solution that perfectly meets your needs. The choice of an IT solution partner must consider various factors, as this will make a decisive impact on the success of service providing. 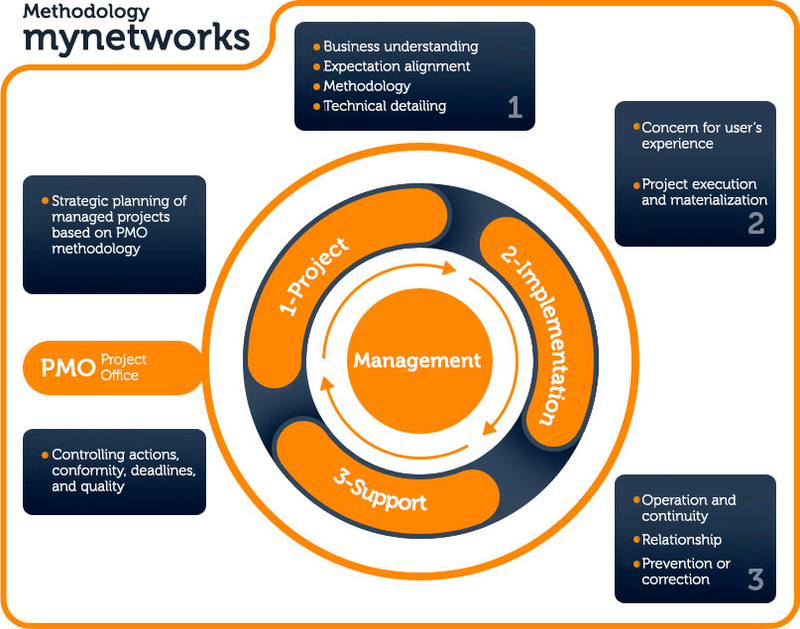 The supplier must act jointly with the client as a business partner, much more than just a contracted company or service provider: know and be intimately committed to its objectives and produce “synergy” with the client – suggest ideas, propose approaches, and provide support to its projects, focused exclusively and guided by its success. This philosophy is what guides our work. Our success is the fruit of agile and dynamic support services, always synchronized with the needs and expectations of our clients. Besides the cutting edge difference in our support services, we guarantee the quality of our product and services through strict methodological control, continual improvements in our processes, and efficacy in our Quality Management System.